After the huge success of last years Harvest Dinner we are back again! 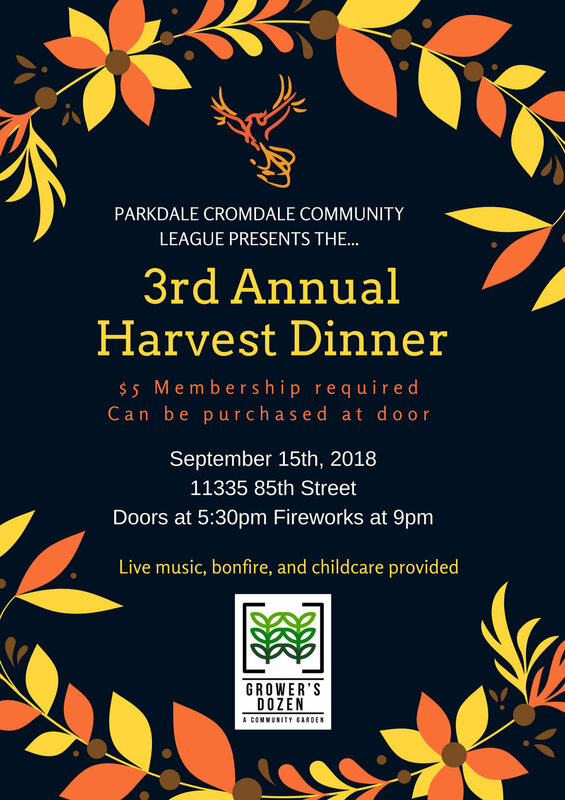 This year The Growers Dozen, along with Parkdale Cromdale Community League, are bringing the Harvest Dinner to Community League Day. Just like last year, the free Community Dinner will be made primarily with food grown right in our community garden along with some generous donations from local businesses. Get ready for a night filled with food, drinks, and entertainment for both the young and young at heart. If you plan on joining us, make sure to RSVP below!